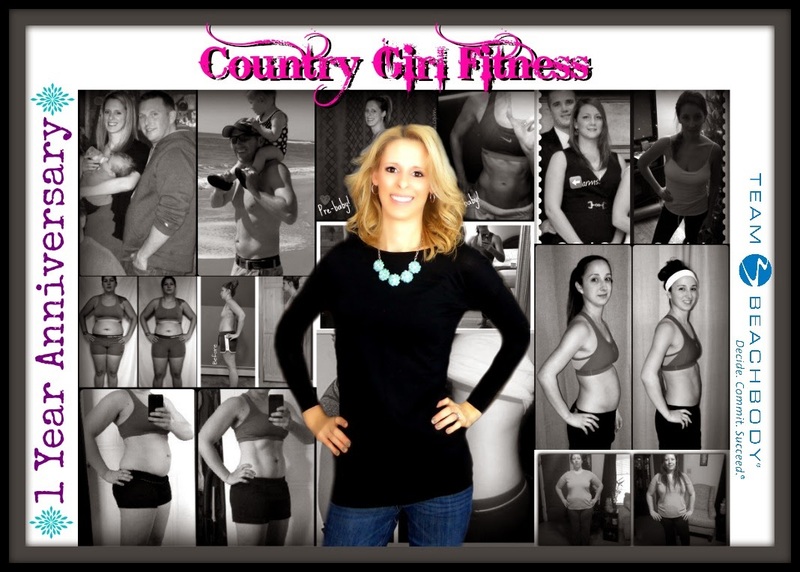 Country Girl Fitness: What is Beachbody Coaching? My Beachbody coaching journey started in February 2014 after my husband and I both had amazing success with Beachbody's Focus T25 Program and Shakeology. 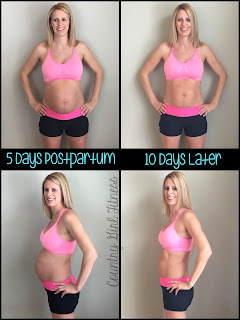 I ended up with a better tummy POST baby than I ever had BEFORE I was pregnant! He ended up losing 27 pounds and now feels better than ever. We both have more energy.. and that helps a LOT with having a little 4 year old running around and a newborn baby!! I started telling my friends and family about this amazing program and several of them bought it and started doing it. Then I realized.. by becoming a coach.. I could get PAID for doing what I was already doing! Little did I know they had a referral system.. called "Beachbody Coaching" where I could get rewarded for sharing our success with others! It's a win win! Below are some pictures we took after we finished T25 together! 2 weeks postpartum after my 2nd baby using ONLY the portion control container system and Shakeology once a day!! Not yet allowed to workout for another few weeks! Our team is NOT just any team...We're a family... We work TOGETHER.. We train together and we grow from each others strengths! 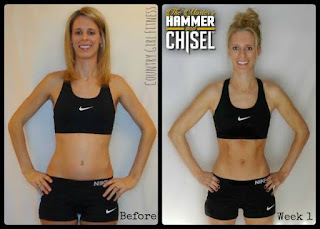 I’m not a fitness expert or professional trainer but these programs and products have helped me CHANGE MY LIFE!! That's why I am PASSIONATE about sharing them with others! HOW COULD I NOT?!?! I help people…I CHANGE LIVES…like mine…like YOURS… Together we are UNSTOPPABLE!! Join our team…Join our FAMILY! I hate to boast but I think our team is the BEST..LOL. All kidding aside, I truly think of our team as FAMILY! We are among the fastest growing team in Beachbody. Our team is CONSTANTLY in the Top 10 of every TEAM contest Beachbody does. The best part about this is we have developed an easily duplicatable system that can get you similar results. Several coaches on our team that have followed this system have gone on to replace their full time income in less than a years time! 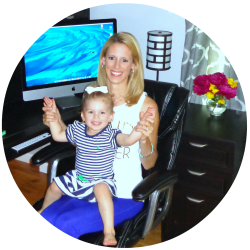 As a 8 Star Diamond ELITE Coach in the Beachbody Network, I have grown my business from a hobby to a full-time income in 12 months.... then to a 6 FIGURE BUSINESS in 18 months.. I still work the business part time.. but with some hard work it has created a full time income for me and my family. I have more than quadrupled my full time income as a Nutritionist and was able to RETIRE from the 9-5 at age 29!!! CRAZY! It has allowed me to get in awesome shape, have a great body, and earn extra income. I've earned multiple free trips paid for by Beachbody! I get to socialize and help other people in need from the comfort of my own home. 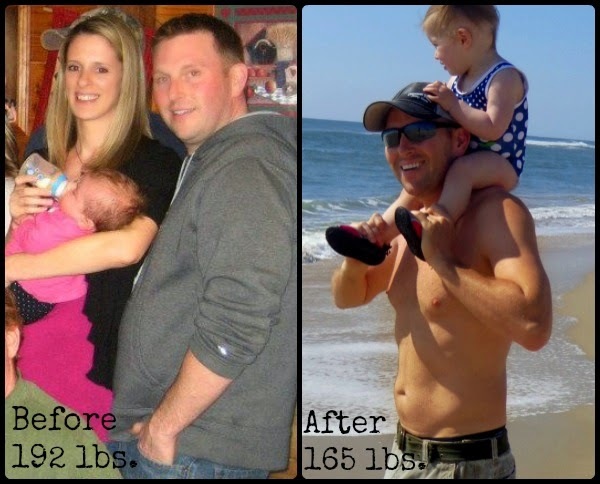 I truly love helping people reach their personal health and fitness goals. There is nothing more rewarding than seeing the joy in their eyes when they conquer that mountain. What is a coach? Our team is a group of motivated individuals who provide support, motivation and encouragement to people on a daily basis to help them achieve the health and fitness goals. I provide free coaching advice and support to people who are enrolled as my customer or coach with a free Team Beachbody account. As a coach my job is to help you set realistic health and fitness goals. Then, together we create an action plan. I never focus on the big picture, instead we break it down into manageable smaller chunks. We work to overcome things like emotional connections to food, traveling, meal planning, cravings, healthy snacks, and just plain motivation. Everything that we need to be successful is right here. I really love running challenge groups. They are truly my passion. Challenge groups have been the best way for me to get to know my customers and to help them on a daily basis. A challenge group is all done through Facebook. Each participate purchases a Beachbody fitness program and commits to drinking Shakeology for at least one meal a day. In return I will help you with meal planning, grocery shopping, planning and staying on track. The small group environment really works!!!! Now that my business is growing I also help my coaches that have joined my team to duplicate my success. I do this through team calls, our coach closed Facebook support group, and private chats. There is no greater feeling in the world than seeing your coaches succeed!!! WHAT A BEACHBODY COACH ISN'T! Being a Beachbody Coach ISN’T a Get Rich Quick Scheme. It is hard work and you get out the effort you put in. So if you aren’t willing to put in the time and effort you aren’t going to succeed. All my coaches can tell you I live by the MOTTO “Be Here in A YEAR”, that means give this business 100% for a year and you will be AMAZED! Are you ready to change your life and the lives of countless others? What are you waiting for? I AM A PRODUCT OF THE PRODUCT! I have done P90X, P90X3, Les Mills Combat, PiYo, Focus T25, 21 Day Fix, 21 Day Fix Extreme, Body Beast, The Master's Hammer & Chisel, Country Heat, and Core de Force... and I currently drink Shakeology every day and follow the clean eating lifestyle. I do not SELL anything except for a healthy lifestyle that is based upon the principles of eating whole natural foods and regular exercise! Of course I do promote Beachbody Fitness programs and supplements because they work! I have tried them and if you follow X,Y,Z then you will get the results that you are looking for! I not only have transformed my own life physically but I now have a more positive outlook on life and I LOVE being surrounding by people who want more out of life! INDEPENDENT BEACHBODY COACH INFORMATION, COST? A one time fee of $40 to become a beachbody coach. This is NOT a yearly or reoccurring fee. You can also get that $40 fee WAIVED if you sign up with a "Challenge Pack" or you or your spouse is active military then that fee is waived! (I can explain those options in more depth as well). A Challenge Pack is a discounted package that includes a Beachbody program of your choice and a 30 Day supply of Shakeology. Our new All Access Challenge pack includes EVERY single Beachbody program ever created on Beachbody on Demand for an entire year, a 30 day supply of Shakeology, the color coded portion control container system, portion fix meal plan and a Shakeology Shaker cup... ALL for $199!! This would also waive your coach sign up fee.. it's by far the best value Beachbody currently offers. A monthly website fee of $15.95. Beachbody gives you websites where you can do some minor personalization. One site is a Beachbody coach site and one is a specialized Shakeology site (only available for sale through the Team Beachbody Coach network). I have decided to create my own website and blog to share my experiences but it is not required. To remain an active coach you need to have a Personal Volume (PV) of 50 points per month. Purchasing a month's supply of Shakeology (at a 25% discount) is 90PV for example and you're done. This means as long as you're drinking your Shakeology each day.. you don't have to sell 1 thing in order to stay active. I agree with Team Beachbody's methodology that you need to use their products in order to be able to explain the benefits of the research they've done. Plus, their supplements actually taste a whole lot better than any other product I've used!! Chocolate Shakeology literally tastes like a chocolate milkshake!! You receive a 25% commission on anything somebody buys from Beachbody using one of your links. Somebody purchases a copy of P90X, you get a check for $29.96. Someone purchases Shakeology? You get a check for $32.50. You can, if you choose to, create a team of coaches as well. You can create a business based off of a team of people who are passionate about the same things that you are. You receive a 25% discount on all Beachbody products including merchandise. If you're using supplements daily like I am, just the discount savings alone on Shakeology covers the $15 monthly website fee. You get paid on a weekly basis, every Thursday morning!!! No inventory to carry, Beachbody takes care of everything. All shipping, handling & returns! I have found a new passion for health and fitness and have never felt better. I'm not trying to sell you that miracle pill, extreme diet, or a whole lot of vitamins you probably don't need, this is for real. Nothing in this program is easy, you have to work for it!! I have increased confidence in all aspects of my life. I finished 60 days+ of one of the most physically challenging activities I've ever encountered. 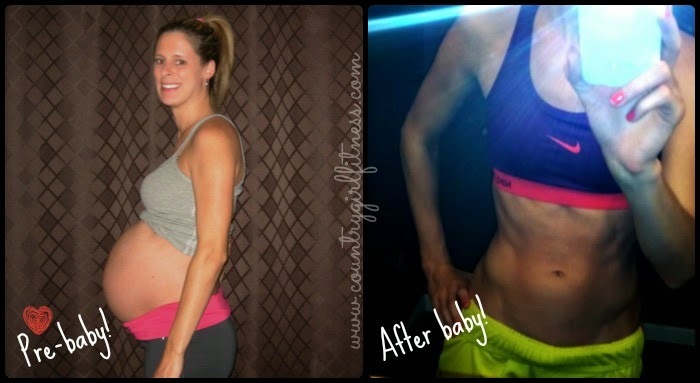 I ended up with a better body POST baby than I ever had before I got pregnant! I have a degree in Nutrition and can give nutritional advice based upon my experience. I know what worked for me and am helping others figure out what works for them. I can help YOU get in the best shape of your life! 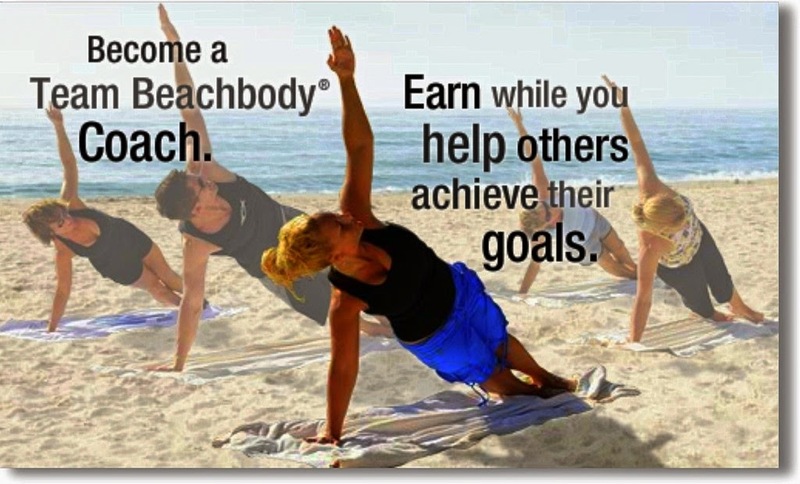 You succeed at being a Beachbody Coach by putting the needs of others first. By reaching out to people and offering your support and guidance. For me, I enroll my customers into my challenge groups. That is the place where I have day to day contact with them, I can support, motivate and encourage them to start and finish a fitness program. I provide them with tips and recipes plus all sorts of different strategies to get into shape. To succeed you follow the structure of inviting people to a challenge group, enrolling them into the group, helping them succeed and then eventually people become coaches as well! You succeed by leading by example, inspiring others to get into shape and by being motivated, driven and passionate about what you do! Of course, you don't have to know all the answers at first. You just have to be motivated to get started!!! Beachbody is a successful 12-year-old, Billion dollar corporation based in Southern California. We create and sell the nation’s most popular in-home fitness and weight-loss products—high-quality, well-manufactured DVD workout programs, gear, and nutritional supplements that have been proven to work. When you become a Beachbody Coach, you’re teaming up with a solid, stable company and a best-selling brand. You get paid weekly commissions when people buy Beachbody products and Team Beachbody Club memberships through your personal website. You can also earn cash bonuses based on your team’s sales. As you rank advance you are eligible to receive quarterly bonuses too. It only costs $40 to start a Beachbody business. That includes your first month’s Business Services Fees and your Coach Business Kit, which comes with everything you need to begin earning income. Or you can choose to purchase a challenge pack and the coach fee is waived! <--best bargain for getting started! Once you become a coach on our team you will be added to our closed Facebook team pages. There you will receive updates, information, tips and tools to help you grow your business. This is your place to check in each day and get answers to your questions. You also will be given the option to be a part of my "New Coach Bootcamp" program. This is a 21 day training that teaches you everything you need to know about running a challenge group, how to find people to invite, how to get them started, what program to choose for them, and how to run a successful challenge group. You will be given all the tools that helped me to be successful so that you do not have to re-invent the wheel. You will not have to figure it out on your own. I encourage everyone to be a product of the product. I truly believe that the best coaches are the one's that are actively working out and are drinking Shakeology. It's very hard to speak from experience and guide other people if you yourself have never tried it. If you'd rather fill out my coaching application before you join.. please fill out your information below.. thanks!